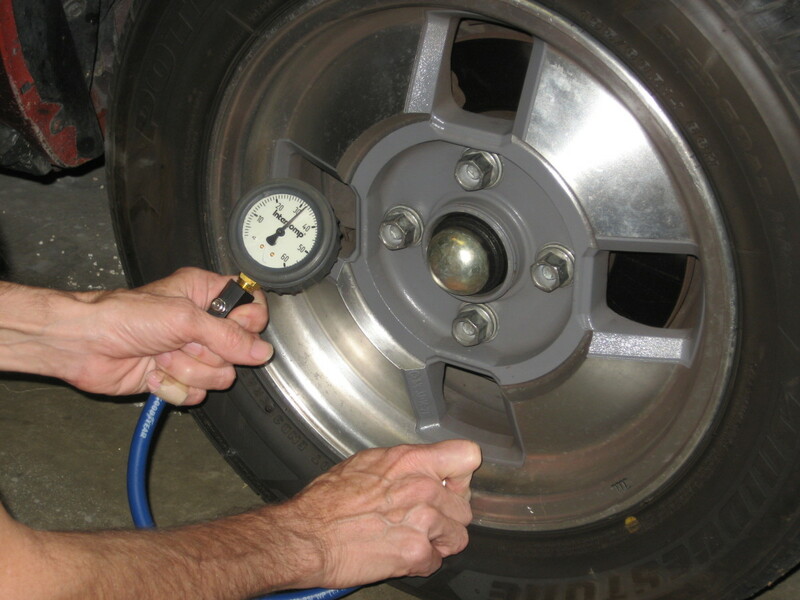 Automobile manufacturers typically specify tire pressures on the driver’s doorpost or the glove compartment lid. Sometimes it’s in the owner’s manual, too. But if the car could have been ordered with various wheel and tire packages, your manual may not have the figure you want. This will also be the case if an owner has changed to aftermarket wheels and tires, usually of a non-OEM size, or if an owner has fitted different-sized tires, usually wider, low-profile tires. It is common for tire shops and other automotive service providers to top-off pressures at 30–32 psi as standard operating procedure. Most car owners don’t know what tire pressures should be for their car and 30–32 is generally better than what rolls in for inspection. 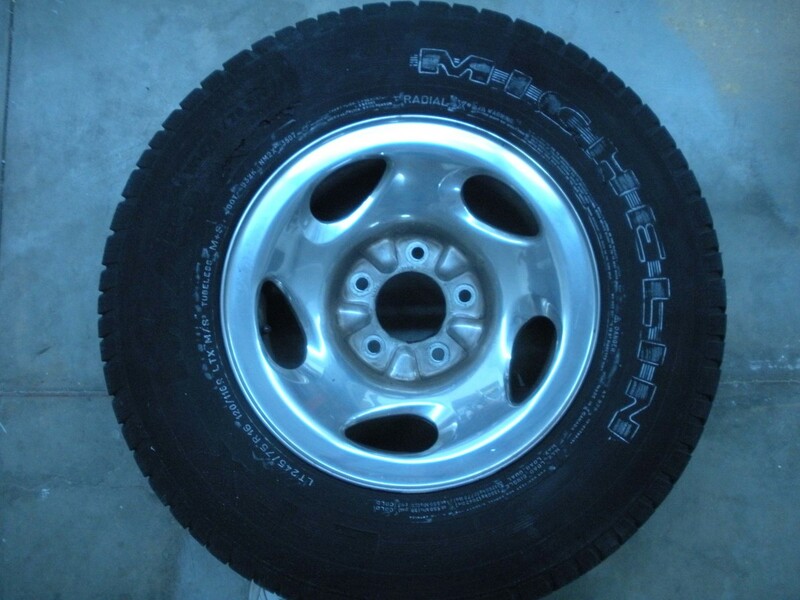 I have even seen an otherwise highly reputable frame and alignment shop routinely send out every vehicle with tire pressures set at what is marked as maximum on the tire sidewall! I check tire pressures monthly on the first of the month. Sometimes I’ll catch a small leak that I would never have noticed otherwise. I do it first thing in the morning, before driving on them or letting the sun warm them up. If I need to add air, I exceed by 2–5 psi and then bleed them off the next morning. As temperatures rise during the spring, pressures will actually rise slightly, and I might have to bleed off ½ psi or so each month. In the fall, the cool, dense air occupies less volume, and I find that I usually have to add a bit of air each month. Since every tire pressure gauge reads differently, I always use the same one. My daughter finds this easier to use than pencil-type gauges. Her fingers are delicate, but she can grab this with both hands if necessary. How often do you check tire pressures? I hope someone else does it. Each time I get gas. But what is that optimum tire pressure? The manual probably doesn’t specify, and certainly not for non-OEM size, aftermarket tires and wheels. There are several objectives in setting the correct tire pressure, but the primary one is maximizing the tire contact patch. 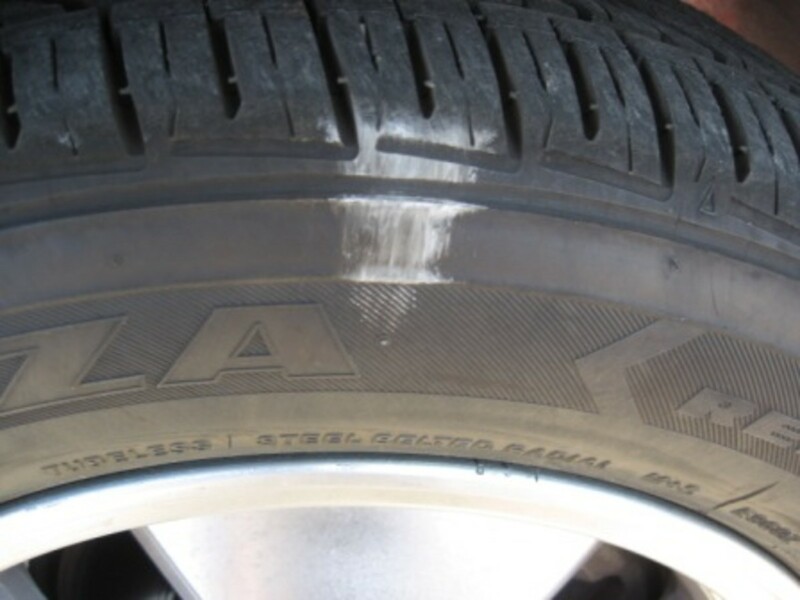 The contact patch is the somewhat squarish oval area of the tire that flattens in contact with the road at any given point. That is where the tire grips the road to achieve traction for braking, acceleration and lateral G-forces. When tire pressures are too high, the tire balloons, increasing slightly in diameter and reducing the contact patch in both length and width. When tire pressures are too low—think of a flat tire—the contact patch is larger, but the increased sidewall flex produces damaging heat. Your car’s owner’s manual undoubtedly points out that tire pressures either too high or too low can ruin tires or cause problems even more serious and dangerous. The method I use to determine the optimum tire pressure setting uses a piece of chalk or drywall. It also requires a tire pressure gauge and access to an air source near where you can drive your car on curves at a safe, but not pokey speed. A straight road won’t test adequately, and sharp turns at intersections are inaccurate. I used an empty lot where I could drive about 20 mph in a 10- to 15-yard radius. Tire pressures should be equalized at whatever you think is a good starting point. The car should not have unusual loading—leave the teens home unless you’ve always got a carload of them! This is a standard procedure for autocrossers who usually want to run different tire pressures when racing than for street use. With your chalk, make three equidistant marks on the shoulder of each tire (or at least one front and one rear tire). 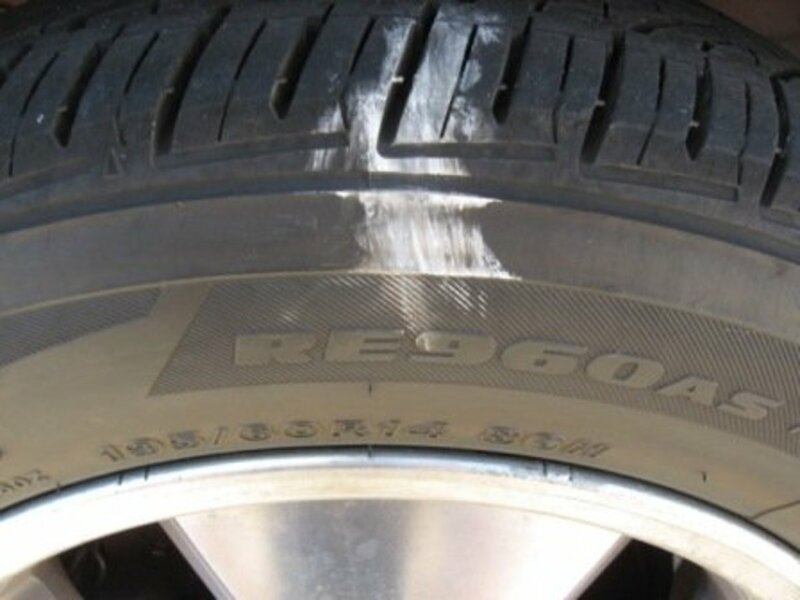 The mark should go far enough onto the sidewall that it will extend past what the tire should ever drive on. It should extend onto the tread far enough that you expect that part to contact the road with every rotation. Three marks will enable you to see at least two of them no matter how the wheel rolls to a stop. Now take a short test drive. Several-hundred yards should be enough to wear off some chalk. For this first test, just drive straight, no curves or turns. Park the car at a safe location and examine the chalk marks. Ideally, chalk should have worn off the entire tread width, but not the shoulder. If chalk is worn off partway onto the shoulder of the tire, add about 4 psi and retest. But if there’s still chalk at the outside edge of the tread, bleed off about 2 psi and try it again. There will probably be a range of about 3–4 psi that passes this test, and it’s better to be on the high side than low. Now refresh the chalk marks and do a second test. For this one, you might need a quarter mile of curvy road if you can't find an empty parking lot. Just make sure to include sweeping left- and right-hand curves. Take the curves at a normal everyday speed. Don’t go slowly like you’re trying to keep a cup of coffee from spilling into your lap. And don’t go squealing the tires—unless you drive like that all the time—and I hope you don’t. Park the car again and examine the chalk marks. Ideally, chalk should have worn very slightly off the shoulder as the tire flexed through the curves. 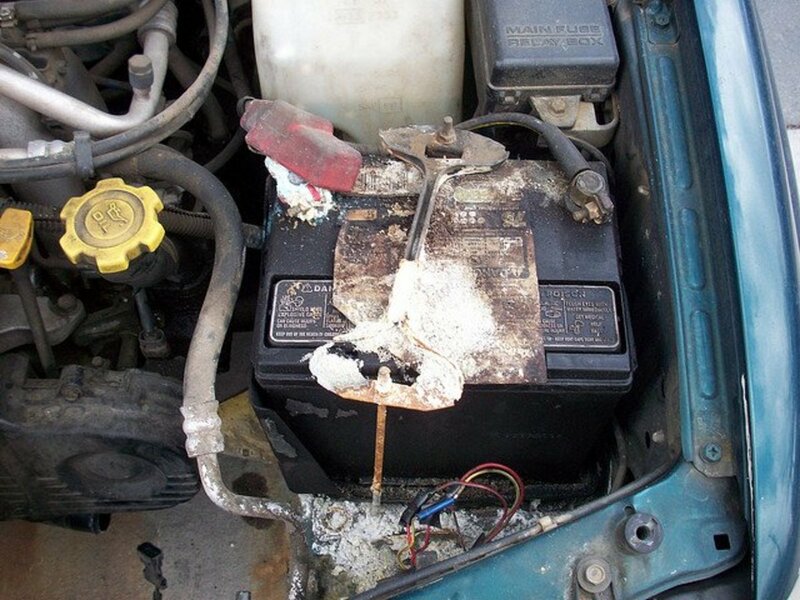 If too much is scrubbed off, and you don’t want to be driving that much on that part of the shoulder, then add about 2 psi. Retest it to see if that looks better, but also redo the straight-line test to make sure that the entire tread width is still in contact with the road. 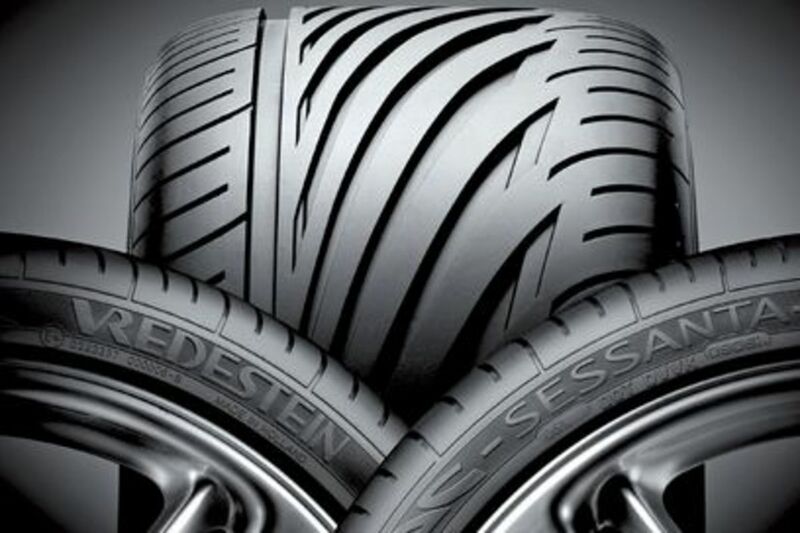 Ultimately, you will probably find a range of about 2–3 psi that gives the best traction without undue sidewall flex. Now, if you want to get really picky, you can adjust up or down 1–2 psi for fuel efficiency or ride comfort. Just be aware of the trade-offs discussed below and keep the full tread width in contact with the road. Is there a difference above? Surprising Results for My Car! My 1981 Celica specifies 24 psi. That sounds quite low; they just don’t make cars like that anymore. 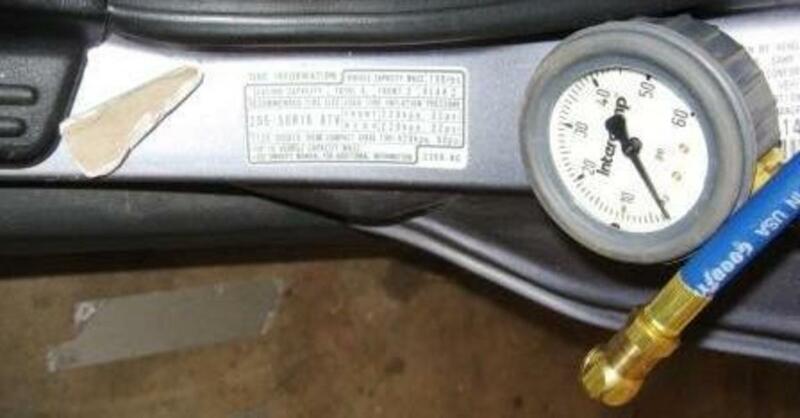 Therefore, shops that routinely inflate to 32 psi are way off. Through the testing described here, I find that 24 psi is, indeed, ideal for the rear, but that 31 psi is best for the front. I could probably lower that some if I didn't drive it so hard. I have already alluded to some factors that affect tire adhesion. There are two aspects to the contact patch: length and width. Beyond that, tire pressures can be adjusted to compensate for vehicle loading and other minor factors. 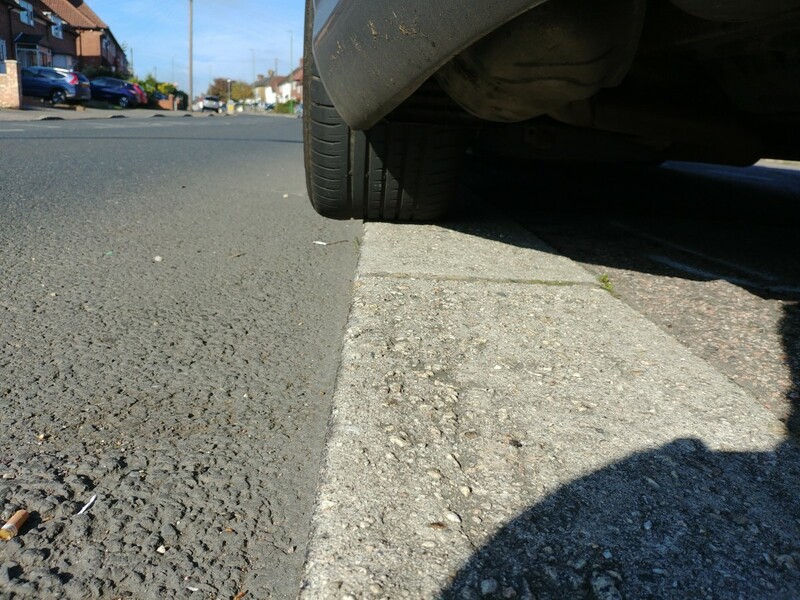 The effect of wheel width is something that is less obvious. When the wheel is too narrow for the tire, the tread does not contact the road at the edges close to the shoulder. 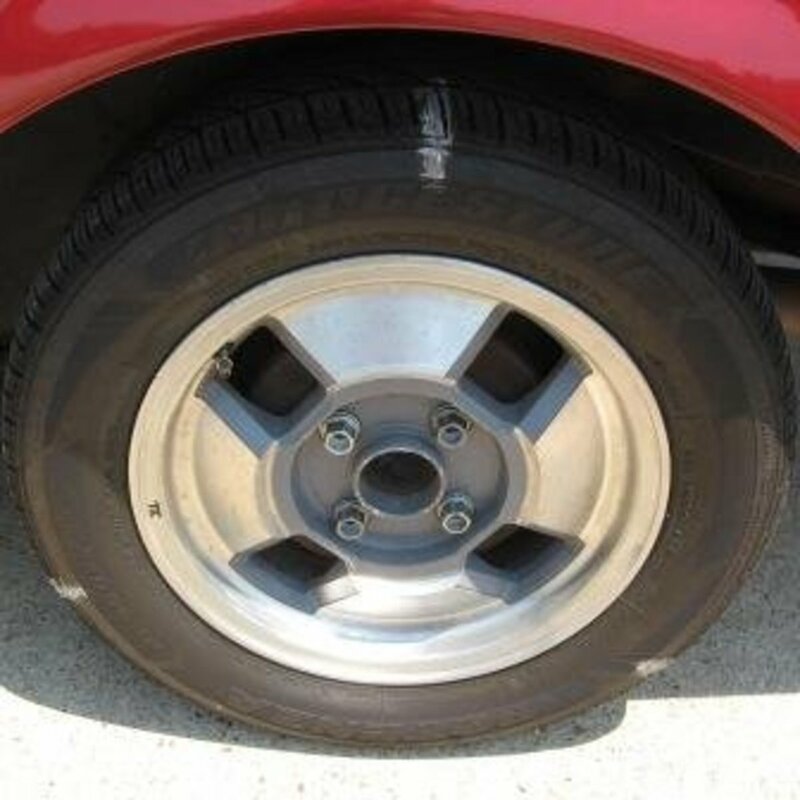 Conversely, a wheel that is too wide will give the tire a tendency to roll-over onto the shoulder. 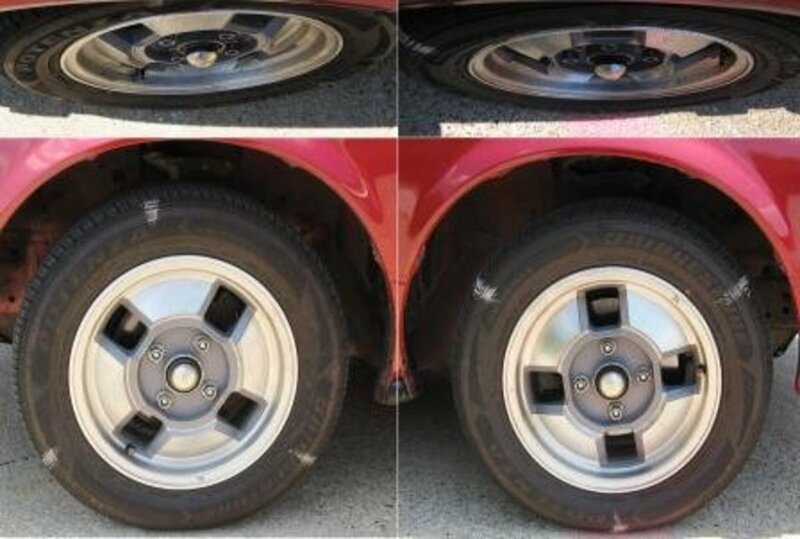 In practice, this has little effect except close to the specified minimum or maximum wheel width for a given tire size—or for very aggressive driving where the tire “leans over” in relation to the wheel. 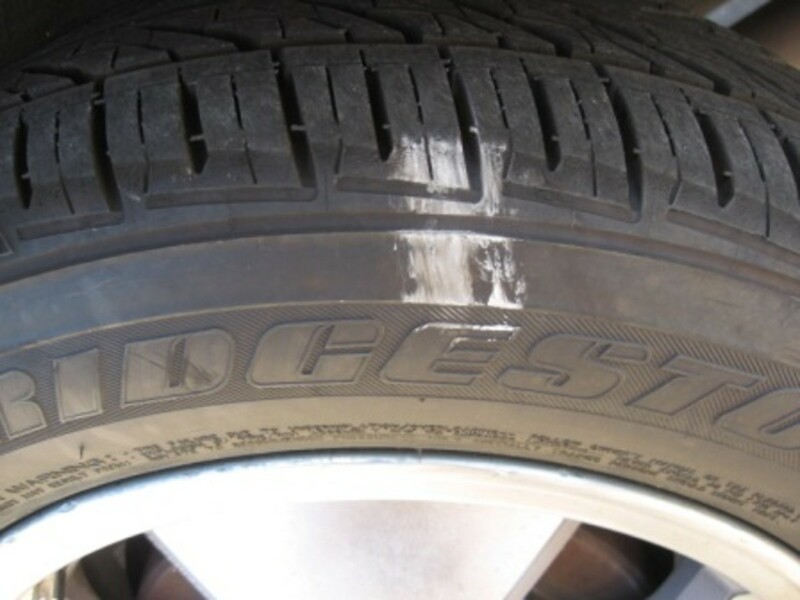 A heavier load places more weight on the tire, causing the sidewalls to deflect more. 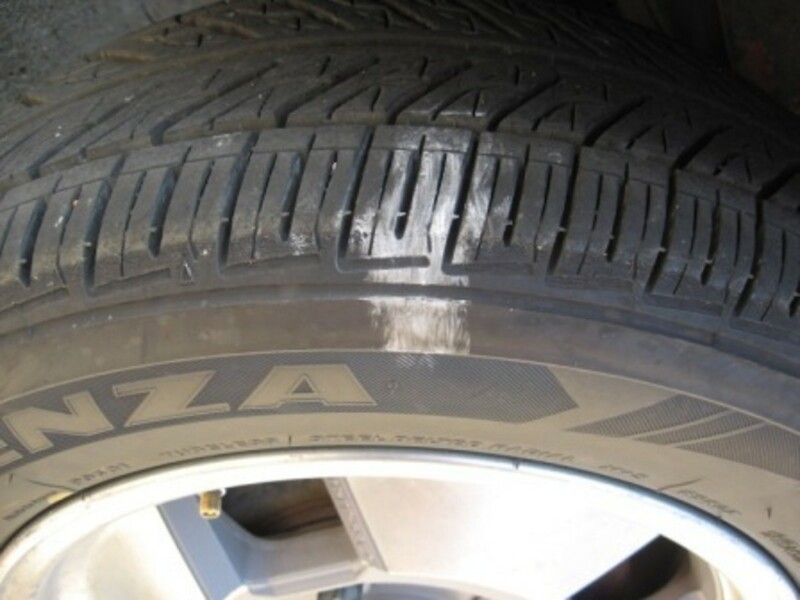 Deflecting the sidewalls creates heat, just as when a tire is under-inflated. In fact, when carrying heavier loads long distances, tire pressures should be increased slightly. Just stay within the specified load capacity of the vehicle and tires. How much air should be added? Use the chalk method if there is any doubt! If you’re still with me, your eyes are probably starting to glaze over, so I’ll just mention several other factors briefly. A spirited or aggressive driving style will generally warrant somewhat higher tire pressures than a sedate conservative style. Higher tire pressures will keep the tires from rolling-over and flexing so much when subject to lateral G-forces. Somewhat related to driving style is the temperature of the tread. Rough driving heats up the tread. So does driving on pavement baked by 100° ambient temperatures (the paved surface is a lot hotter than that). 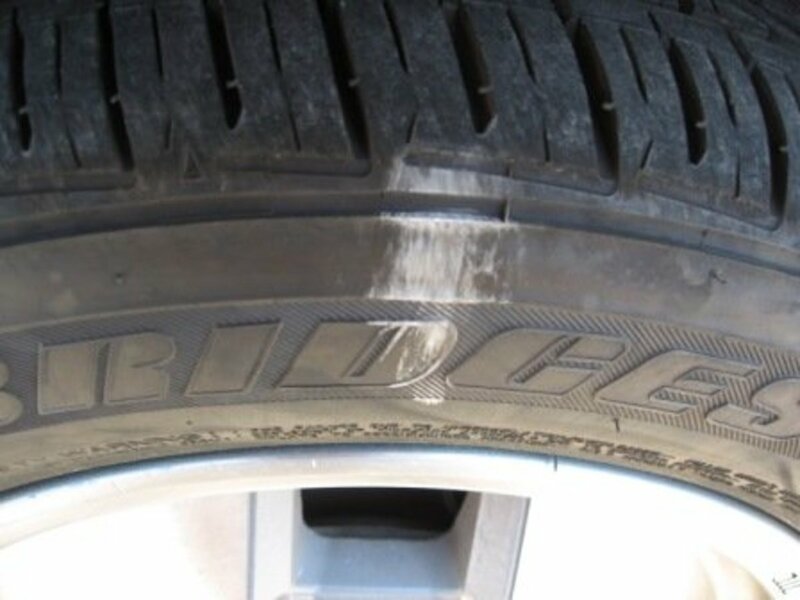 Either way, heat beyond a certain point will weaken the rubber tire compound enough to dislodge small chunks under severe braking or cornering. Higher tire pressures will reduce heat build-up. 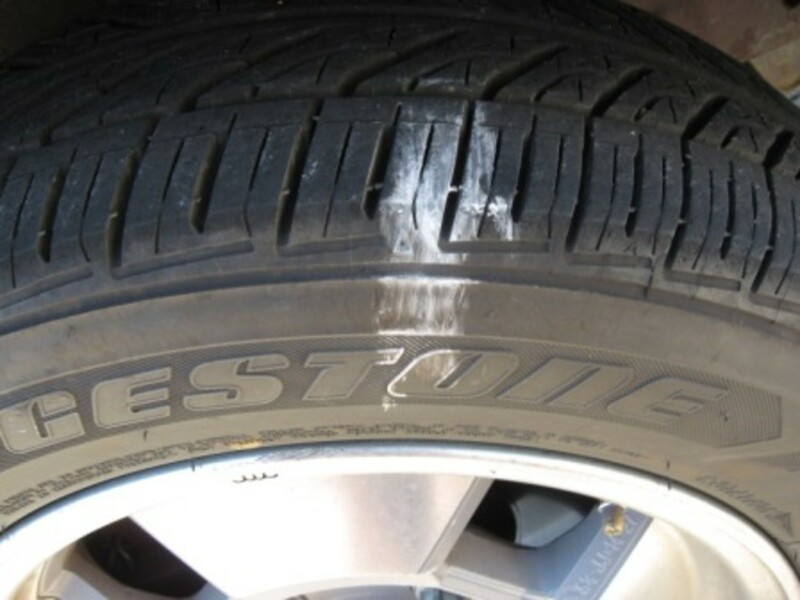 The stickiness of the tire compound affects grip. Generally, tires with longer mileage warranties are made from harder tire compounds that may not have as much grip as those that are softer. It’s a trade-off. Really sticky race tires, for example, get lousy mileage but grip the pavement, which is what they are designed to do. Higher tire pressures will reduce heat build-up. The coefficient of friction is different for each road surface. Concrete has more grip than asphalt. Obviously, hard dry surfaces have more grip than dirt, gravel, sand, wet surfaces, standing water, snow and ice. Tire pressures can be optimized for any of these surfaces if that’s where the tires will primarily be driven. On the non-hard surfaces listed here, tread pattern affects grip as well. 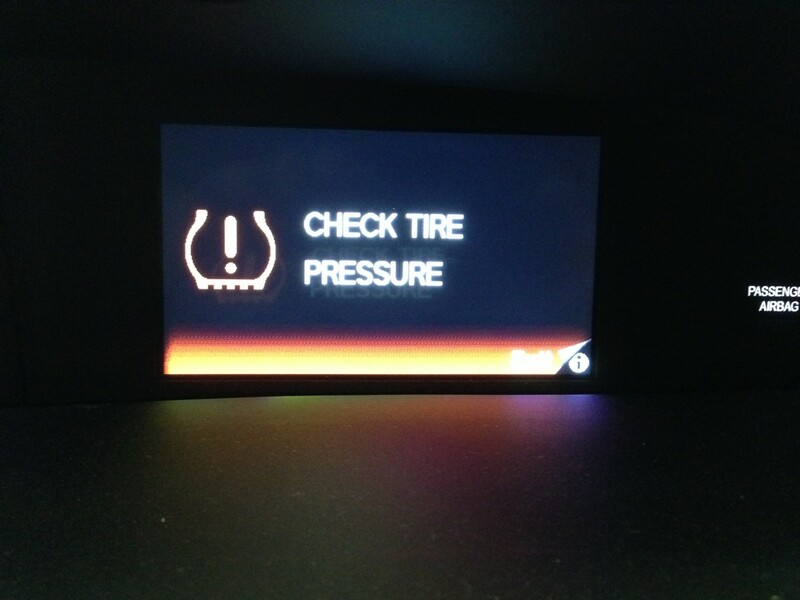 Cars sold new in the U.S. since 2008 have a tire pressure monitoring sensor (TPMS) installed inside each tire. 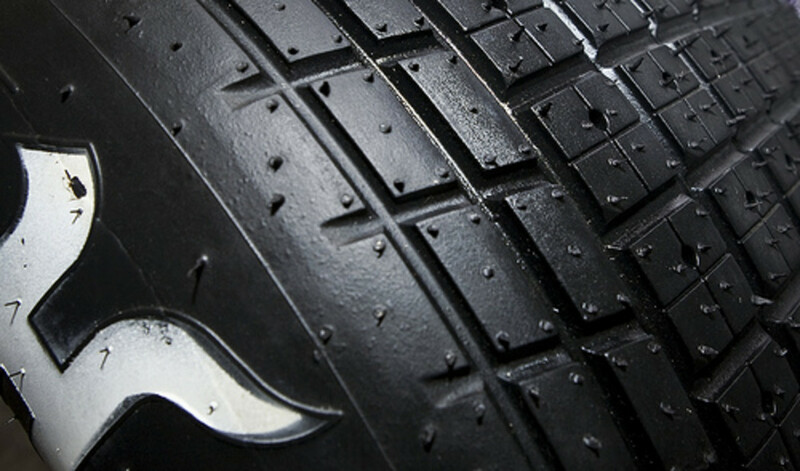 When it senses tire pressure drop by 25%, a signal alerts the driver. While this is designed with road safety in mind, it is primarily for those who do not monitor tire pressures on their own. 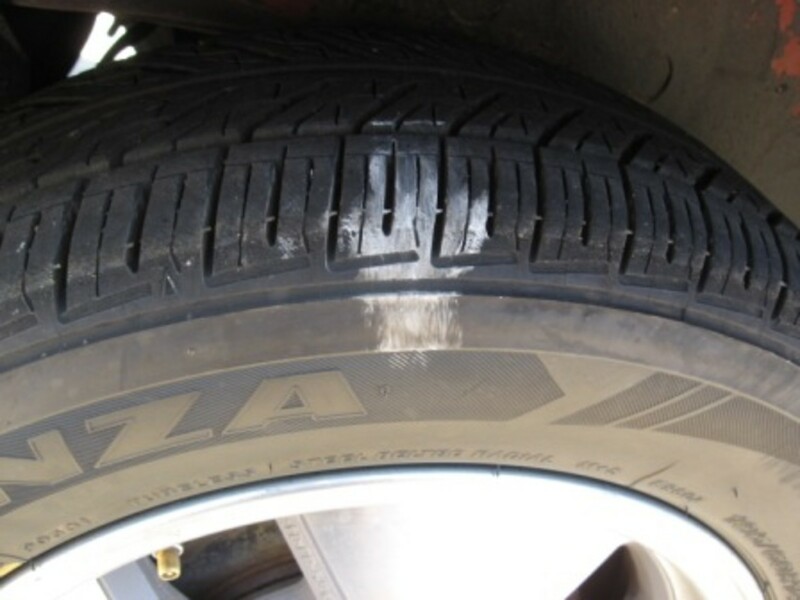 A driver who is consistently measuring tire pressure will have noticed a gradual leak before that point and only see this signal in case of sudden loss of air. 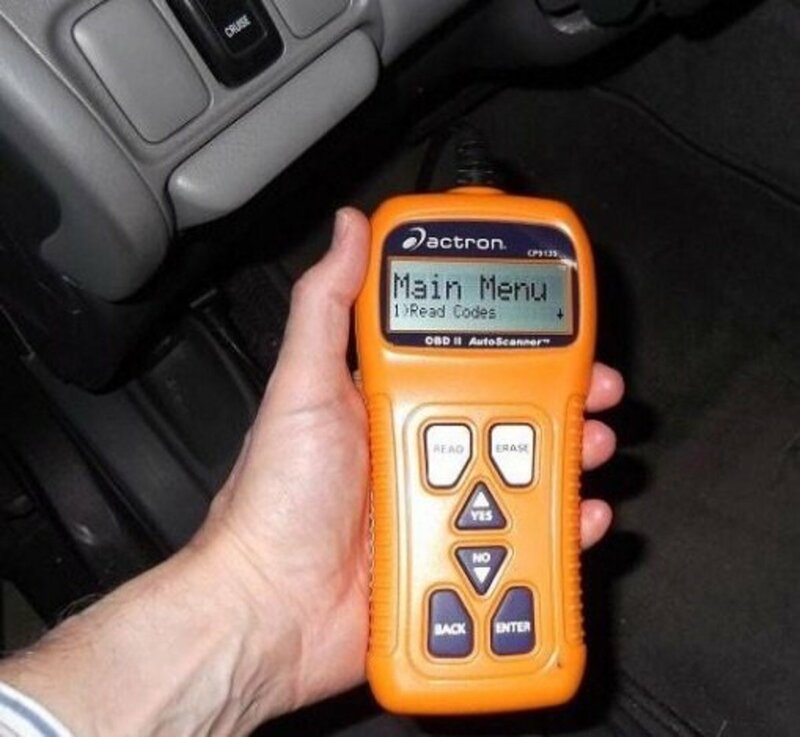 Aftermarket TPMS systems are far more accurate and can also be installed on older cars. On my RV, I use the TST 507RV w/ Flow Through Sensors, which monitors and displays temperature as well as psi for each tire. It has a digital read-out for each tire in addition to an audible alarm. The alarm triggers (high, low and hot) are adjustable, and sensors are accurate to within ±1.5 psi, all of which are desirable features when using aftermarket wheels, tires or pressures. In conclusion, test your car with the tires and wheels you use and determine the optimum tire pressures for your personal driving style. Then check and adjust tire pressures frequently—I do it monthly. Your car will have better handling, braking, and fuel mileage. Your tires will last longer. And you will be happier. If you found this article helpful, please tell others why. Great Informative hubs ! Never know you have to be so careful about Tyre pressure and surprise to know about different test drive methods and Tire Adhesion...Nice Job.. Useful Hub. Thanks for posting it. @ktrapp: The attribute "ingenious" makes me feel good. Thanks. I could say I was inspired by your soup-can math hubs, but I don't think you'd believe that. What I think you might believe, however, is that I was inspired by your explicit instructions on how to merit Hub of the Day. HoD compensates psychologically for being gagged by Google. @a2aoptima, yes, I am definitely the how-to DIY type, and approach everything analytically. You will never catch me (I hope) writing an article about how to do something ordinary unless I have a very unusual angle on it. @Denise, thanks for the encouragement. BTW, your brake pad hub reminded me that I'm supposed to do the front brakes on my wife's car sometime soon. That's something I've never done, although I know how (I think). I've bled brakes numerous times though, and changed a couple of brake master cylinders. Howard, you are a real & practical scientist. The experiment with chalks was awesome. Nice inputs that will really be helpful to people. Great hub, and congrats on winning the HOD. What a thorough hub on tire pressure. The chalk method you describe for figuring optimum tire pressure is ingenious. This is all a good reminder to me, as well, that I need to have the tire pressure checked on both of our car; I think it's been awhile. Great hub and many congratulations on being Hub of the Day. Excellent hub, Howard. Very thorough info here. Thanks for sharing. I voted it Up/useful and interesting. I am sure the average person like me is blown away by the amount of information there is to know about tires. My husband is a "spirited" driver. So, now I can intelligently ask him if he inflates the tires to accommodate his style of driving. He'll get a kick out of it. I really enjoyed this hub. It's filled with valuable information. I can safely said that this is the most information on car tires that I hav ever been exposed to. What a useful Hub! I've learned a lot of practical things- and interesting details to boot! I hadn't realized that tire pressure monitoring sensors existed, for example. How cool are those! Thanks for the great Hub, Howard S!